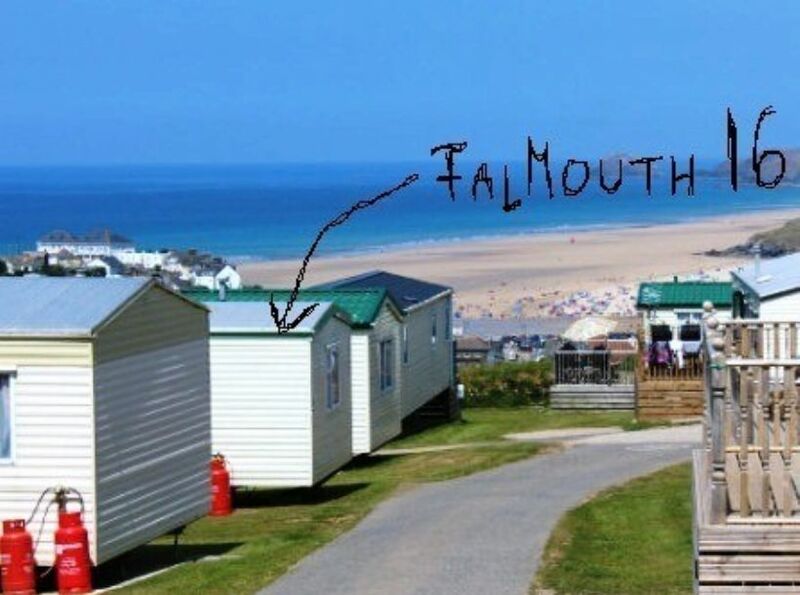 Falmouth 16 is well positioned on the edge of Liskey Hill Caravan Park. Enjoy sea views and spectacular sunsets from the lounge area or from the outside balcony. Take a short walk into Perranporth and make use of the wonderful 3 miles long beach and the local amenities, including several shops, pubs, restaurants and one of the best golf courses in Cornwall. Well behaved pets are welcome but must be kept off the furniture and must not be left unattended. Dogs are allowed on Perranporth beach all year round. We provide bed linen, tea towels and hand towels. Please bring your own bath/beach towels and dog blankets. A non-refundable deposit is required to secure the booking which is refunded on departure. Full payment is due one week before arrival ( or as per arrangement) via bank transfer, cheque or cash is accepted.